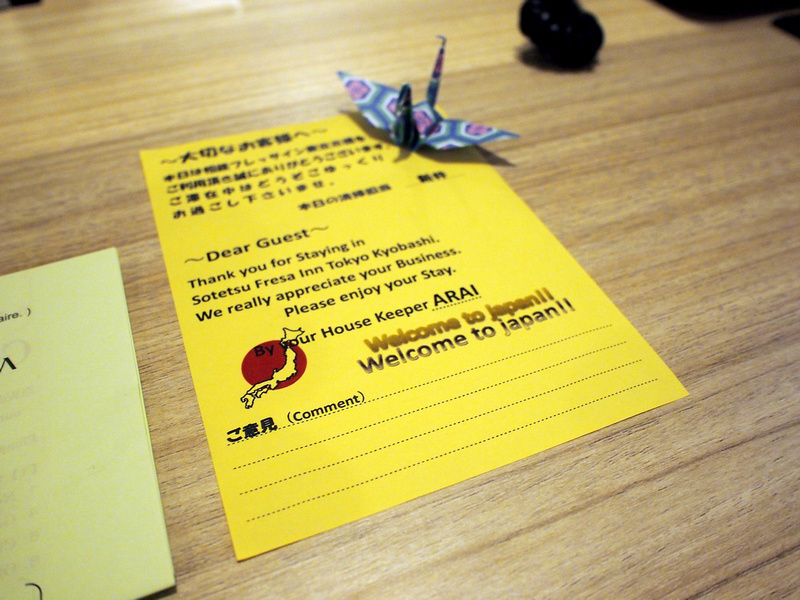 I stayed at Sotetsu Fresa Inn in Tokyo. I was a guest of the Tokyo Convention & Visitors Bureau who provided the accommodation for my trip. 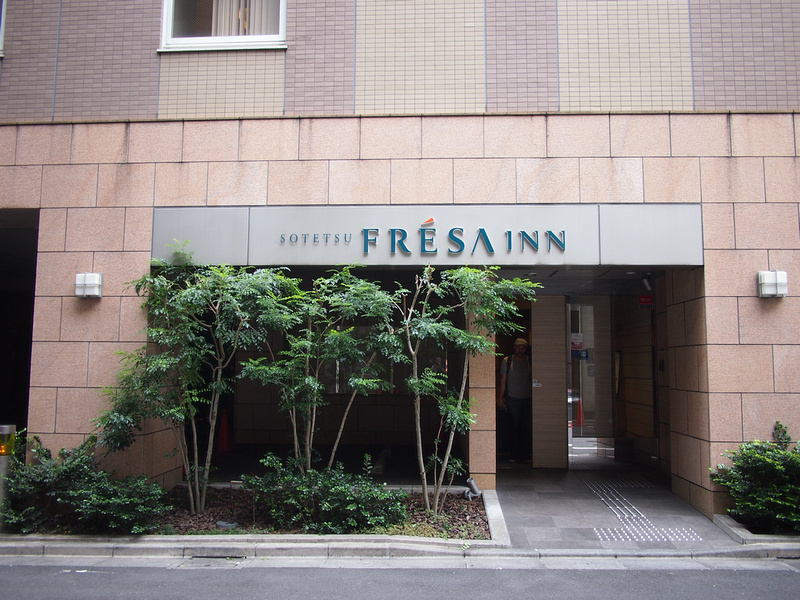 The Fresa Inn is a mid-range hotel that is about 10 minutes walk from Tokyo main station. I was finishing my Japan trip at night at Tokyo station, so this turned out to be an ideal location. 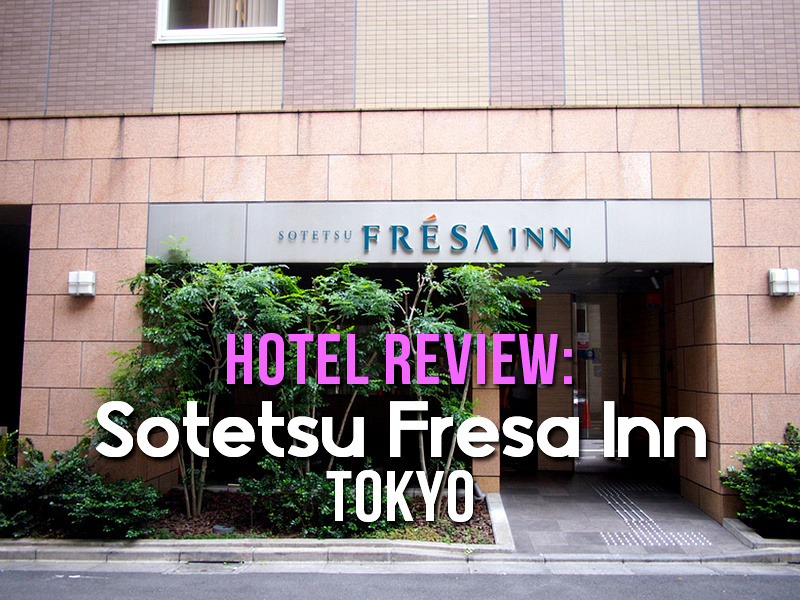 Sotetsu Fresa Inn is a hotel chain from Japan, with locations in Tokyo, Kanagawa, China, and Kyoto. The entrance to the hotel is via a non-descript side street away from the main roads, so it is a quiet area. The reception is on the first floor (that’s the second floor in Japan and the US). A nice little welcome origami in my room. My room was compact with the bed being the length of the room. 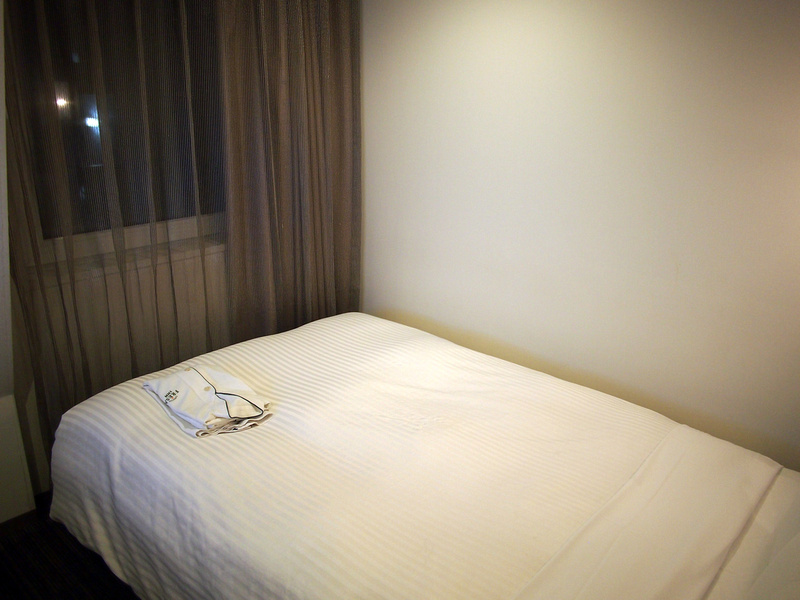 It was laid out with enough space for the single bed and table with space in between. 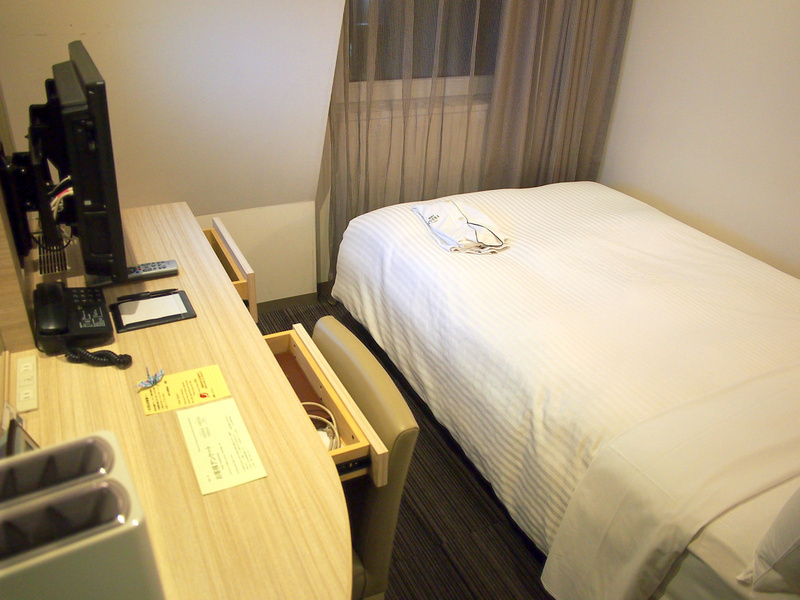 The bed was comfortable and the work space on the desk was of a useful size. 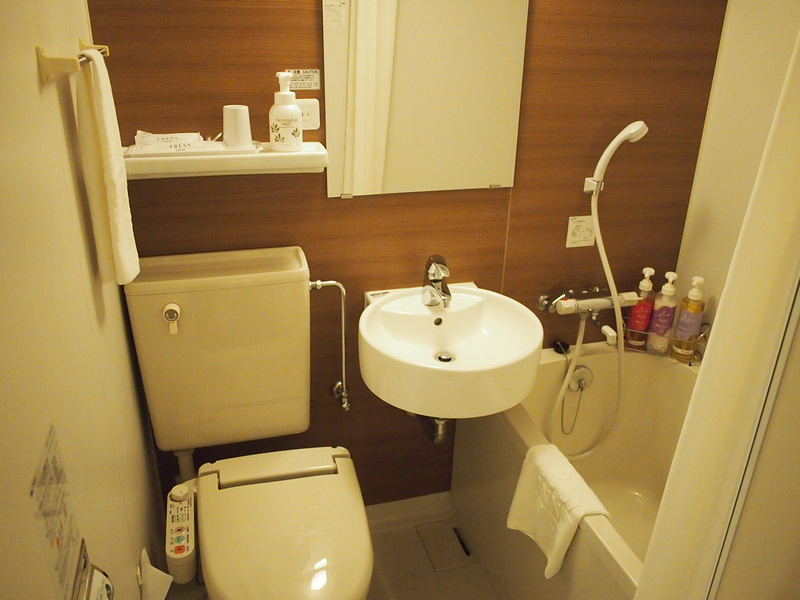 And also a compact bathroom, laid out in an efficient and useable manner. Breakfast is served in the adjoining restaurant which is taken over for the morning. 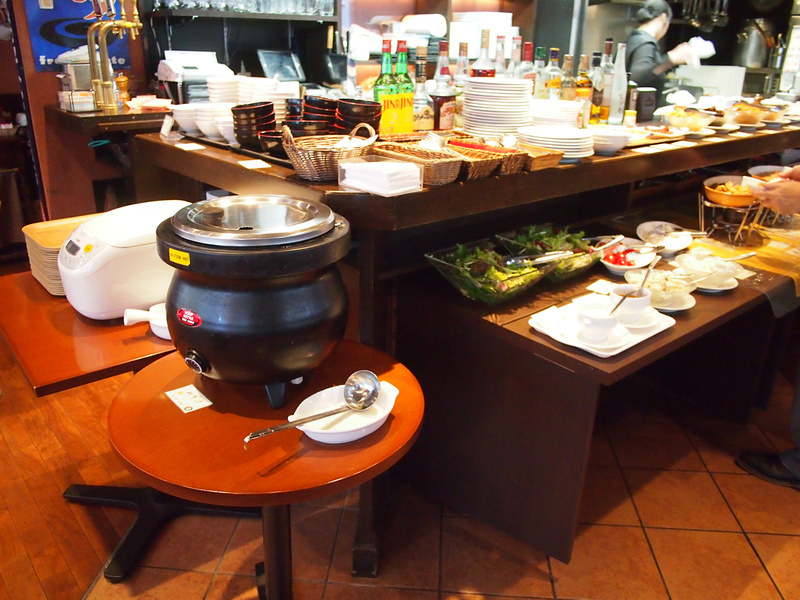 There is a mix of Japanese and western options at the buffet. At the reception there is a lounge and coffee area. There are also some other amenities such as bath salts and men’s toiletries which you can help yourself to. 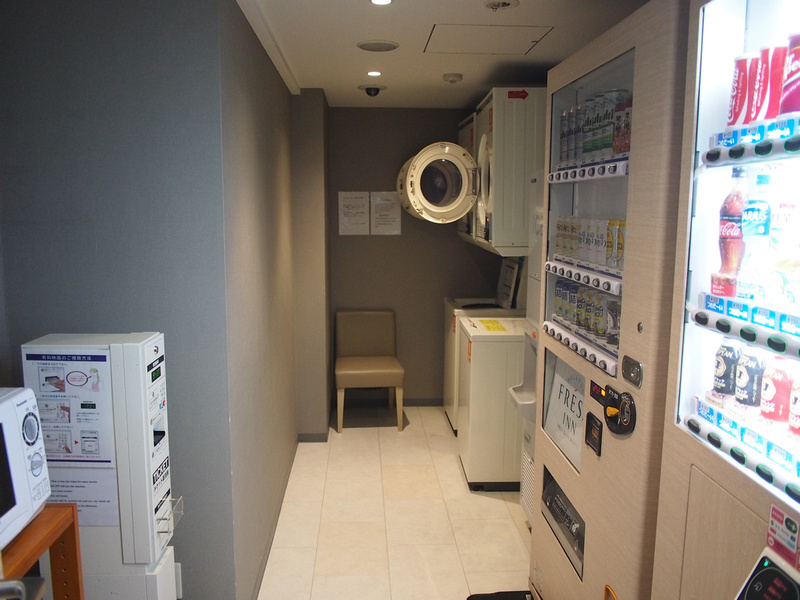 Also on the reception level is a laundry room with the ubiquitous drink vending machines. There is free wifi in the hotel which worked without a problem in my room, the reception, and at breakfast. 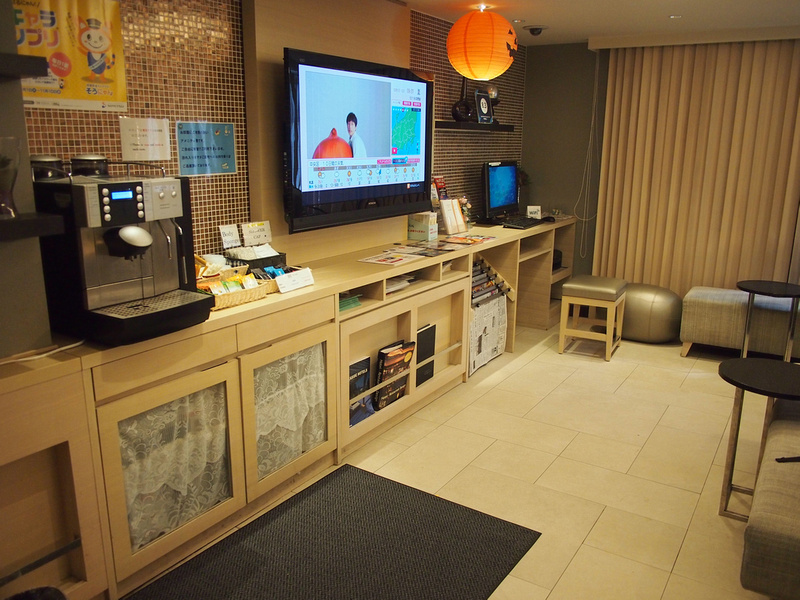 There is also an internet corner with computers available free of charge. There is also a printer, copier, and fax machine if you need extra services. 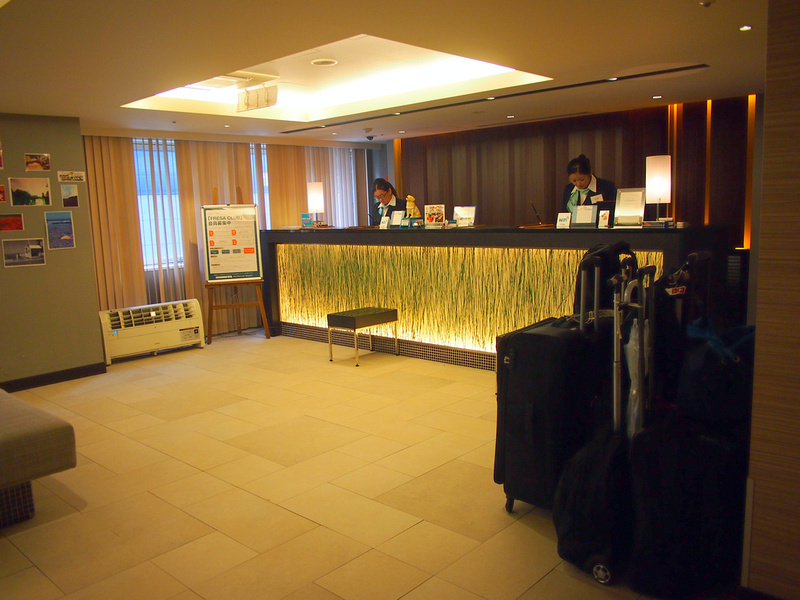 Overall this was a great place to stay if you are looking for a mid-range hotel near Tokyo station.